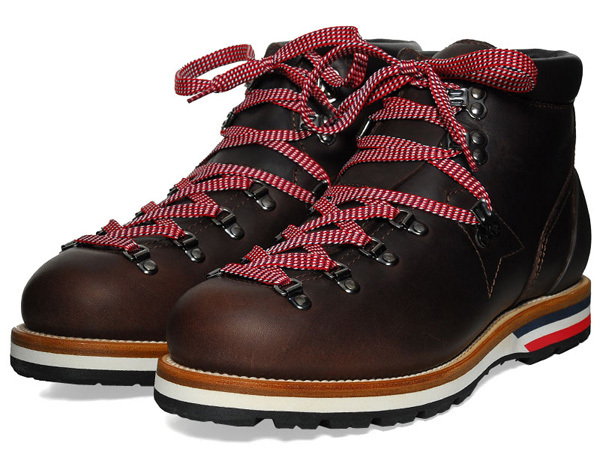 European alpine specialists Moncler team up with Japanese label visvim for a top of the line Leather Mountain Boot. Based on a classic hiking boot silhouette — as with visvim’s own Serra boot — the highly limited edition collaboration comes in either black or dark brown waxed leather upper with several premium features. A Vibram Sole with tricolor detailing, calfskin lining, contrasting striped laces, a Moncler logo embossed on the heel, D-ring and hook lacing and a Moncler branded tongue round out the shoe’s finer touches. Pick them up at END for only $985 (£595).